"An important part about Polyflex shoes that people might not realize is that it's a lot like training a horse barefoot, but with the benefit of having a shoe on them. Particularly for the young ones that are still growing as we train them, putting a restricting shoe on will get you by but you might not end up with the right foot when all is said and done. That's why we have had a lot of success using Polyflex shoes. Polyflex will allow the foot to expand and contract with the natural motion of the horse which I believe helps to grow a stronger foot. 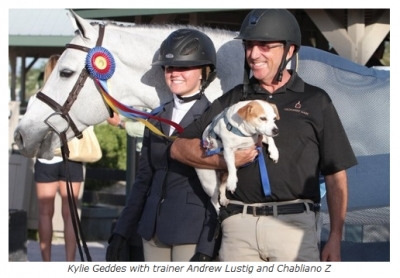 By using Polyflex, we have made a big difference in the horses we train." "The ground breaking work Curtis has done with glue on shoes has revolutionized the way horses are shod. Anyone that has not seen his work first hand cannot know the impact he has made! Horses are happier, sounder and move better because of Curtis." "I’ve been a big believer in Polyflex right from the start. In my line of work, I’ve seen horses that won’t jump over three feet in nails - but put them in a pair of Polyflex and they’re willing to jump the moon. These shoes really open up the potential in a performance horse. We’ve addressed shoeing horses the same way for years but now Polyflex has changed the game. I’ve had some big wins and great successes with horses that wouldn’t have happened without Polyflex. For me, these are hands down my go to shoes”. "Curtis is by far the best at what he does. Polyflex Horseshoes have been instrumental to my success in the industry and have made it possible for me to win many races, including the Breeders' Cup." "Curtis, you are the most fantastic farrier! I am amazed with the transformation of the horses and ponies you shoe with your Polyflex Horseshoes! They are moving beautifully now. They go as though barefoot but without the problems of no shoes. Now their angles are remarkably improved. Thank you for being such a concerned & caring farrier. The horses & ponies are relieved to have you shoeing them! "In 2013 when showing my Quarter Horse mare R V Flashy N Radical (aka Callie) she developed a quarter crack. I needed help, and despite what we tried we couldn’t keep her comfortable. I took her to Curtis Burns and he was able to stabilize her hoof by putting her in his Polyflex shoes. His technique for treating quarter cracks worked incredibly. I would arrange to meet him in between shows for Callie to be reset. When all was said and done, we were not only able to finish the show year but ended up All Around High Point Performance Mare in the nation. 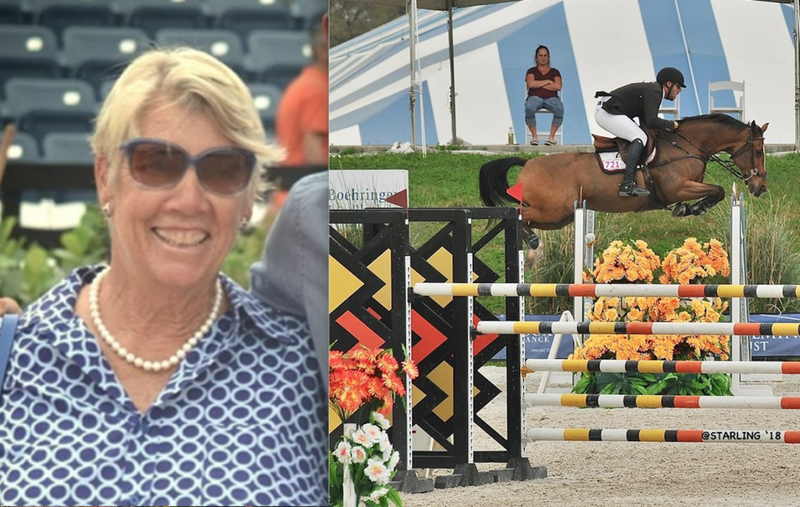 Curtis’s expertise kept Callie's show career going for many years and she finished in the top 10 in the nation in several classes afterward." "We applied the Polyflex shoes to address low heels and give more heel movement. They pick the feet up and give them a cup and get the sole off of the ground. It is also a more natural way of shoeing. He took right to them and has made some great runs in them. In the past, I used them on Easy Winning Lady. She won the BFA Derby in them. She had thin walls that were difficult to nail – problem solved!" "Curtis truly is the best shoer I've worked with. He saved the career of a very good horse of mine. A great farrier that takes the utmost pride in what he does. Overall a great individual"
The best part of producing Polyflex Horseshoes is hearing the success stories from clients with happy horses. Feel free to share your success story with us for a chance to be recognized as the Polyflex Feature of the Month. We'll upload you into our Gallery, celebrate your horse for the month & send you a free complimentary pair of shoes! To enter, simply send us a before & after photo of your horse in Polyflex and share your story.